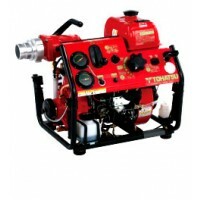 Tohatsu has been manufacturing and distributing portable firefighting pumps since 1947 and has partnered with BRT Fire & Rescue Supplies in Australia. 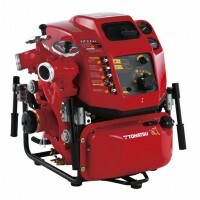 Tohatsu offers a comprehensive range of portable fire fighting pumps to meet the demands of the global fire services. Lightweight, compact and outstanding discharge volumes are the most essential factors to their success. 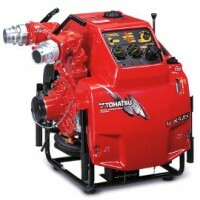 Tohatsu incorperates the latest technology into their engine and pump body, developed by Tohatsu for high performance and environmentally friendly emissions. 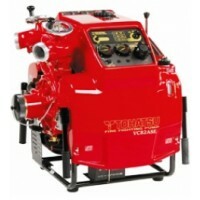 Tohatsu Firefighting Pumps operate with low noise levels and are compact, light and can be easily carried. 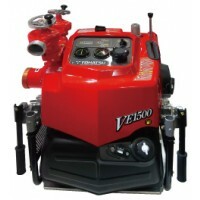 Each pump is self-contained allowing firefighters to quickly set up and operate in an environment where seconds count. 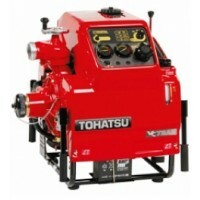 Each Tohatsu fire pump is equipt to allow quick and powerful priming, ease of lifting and transportation by the rotating handles. 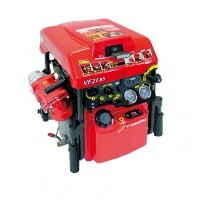 Hoses are easily deployed with a rotating discharge port. 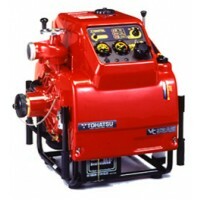 Pumps also incorporate a reticulating water cooling system to insure reliability and optimal performance. 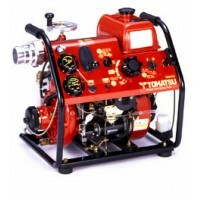 Tohatsu has developed the industy's first EFI engine system, that allows easy starting of the engine, even when the battery is flat. Each pump is fitted with a manual recoil pull starter.